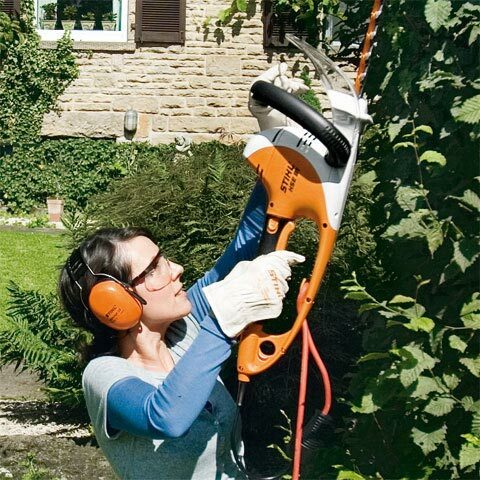 Both quiet and powerful, the HSE 61 electric hedge trimmer features a low vibration 500 Watt motor. 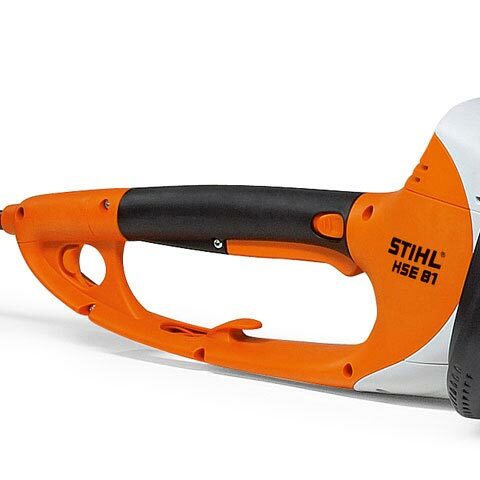 5 position rotary handle allows for flexible, comfortable cutting. 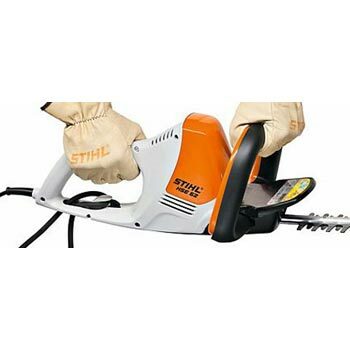 This electric model is ideal for shaping and trimming bushes and shrubs. Transparent hand guard and laser-cut and diamond ground blades. 50cm cutting length. Deviations from the product range and information provided here are possible, depending on the country. VIKING reserves the right to make changes to technical specifications and equipment. Practical rotary handle with integral armrest. Select from five settings between 0 and +/- 90 degrees. 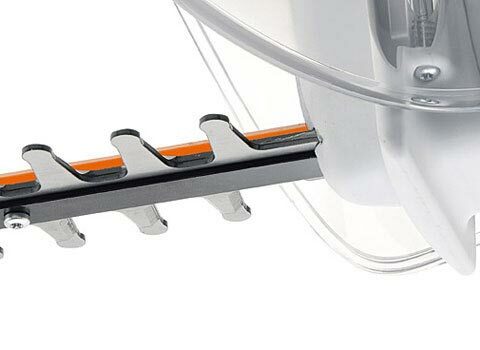 The cable strain relief prevents the power cable from becoming accidentally disconnected. GB version comes with 10m cable as standard. Each blade is laser cut and ground using diamond discs. 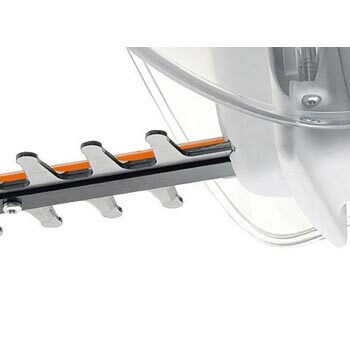 The hardened cutting edges are highly resilient and remain sharp for a longer period of time. The STIHL electric hedge trimmers HSE 61, HSE 71 and HSE 81 come with the practical triple switch system to increase working range.